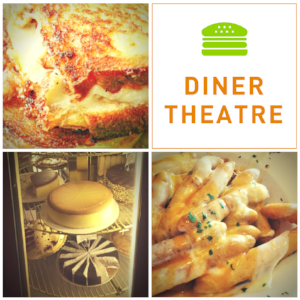 New Jersey Footlights: Pop-Up Event at Summit Diner! Join the New Jersey Theatre Alliance at this pop-up theatre experience in an icon Jersey location, a diner. Back by popular demand after a successful pilot event last year, diners can order from the menu and enjoy their food while they witness several pop-up theatrical scenes performed by professional actors cleverly disguised as fellow diners. Seats are extremely limited. This event is free and open to the public, but reservations are encouraged. This event is at capacity but we are taking waitlist requests. Click here to be added to the waitlist. This event is FREE with food purchase.